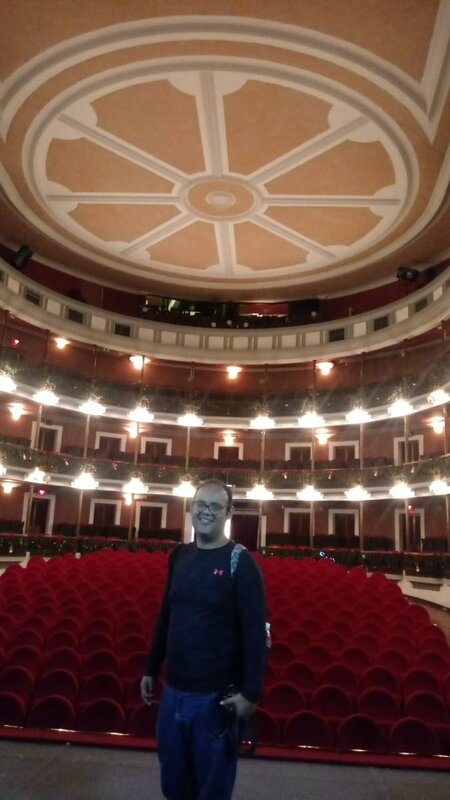 The Angela Peralta Theatre in Mazatlán, Sinaloa, Mexico is an old theatre in the Old Town area of Mazatlan. It hosts many cultural events. Angela Peralta was a famous opera singer who came to Mazatlan in 1883 but died from yellow fever before she could ever perform at the theatre. The theatre was renamed in her honor! The theatre fell into disrepair over the years but was beautifully restored starting in 1987 and reopened to the public in 1992. You can visit the theatre during the day for a small fee. This neo-classical gem is one of the few 19th century theaters still in operation in northwestern Mexico. It was built and named for businessman Manuel Rubio by engineer Andres Librado Tapia and its grand opening took place in Febuary of 1874. For more than a century the Angela Peralta has done service as an opera house and theater, a circus, boxing arena, cantina, and cinema. And it also hosted school ceremonies, vaudeville performances, burlesque shows and annual Carnival events before being closed down for 30 years. In the early 1940's the theater was renamed in honor of "The Mexican Nightingale", Angela Peralta, an internationally-known homegrown diva who died of yellow fever shortly before her scheduled Mazatlan performance in 1882. Her tragic death had a powerful impace on the city's cultural history and on the theater itself which underwent long years of restoration before its triumphant re-opening in 1992. Where is the Angela Peralta Theatre? 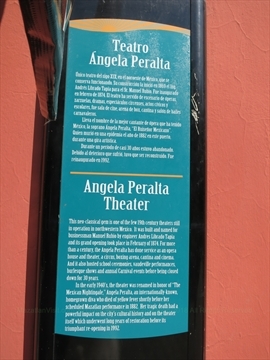 The Angela Peralta Theatre is located in the Old Town area of Mazatlán, just off of the Plaza Machado. What is the address of the Angela Peralta Theatre? The address is Calle Carnival between Calle Libertad Pte. and Sixto Osuna.